They are very sincere, and price-wise they are very competitive. They diagnose the car properly and give you the exact explanation and price. They have been very honest and reasonable. I've used them for many years and they are good about finishing repairs on time. I definitely like their honesty because I have had bad experiences with auto shops in the past. I trust them and believe they give me a straightforward diagnosis. That's important. They are very professional and the price is very good. They know exactly what they are doing. 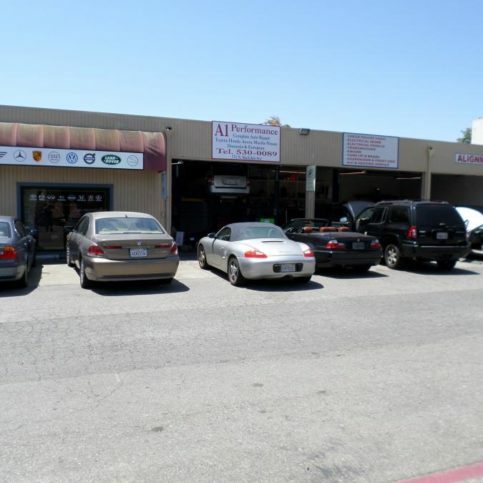 A1 Performance Auto Repair is a Sunnyvale-based general repair shop that specializes in emissions work (smog testing, certification and smog-related repairs), computer diagnostics and electronics systems. The company’s services range from engine and transmission work to brakes, power steering and fuel injection systems. It also does minor mechanical work, oil changes, routine maintenance, and front and back end repairs (excluding front end alignments). Cliff Do established A1 Performance Auto Repair in 2000. Mr. Do has many years’ experience as an auto mechanic, and he says he’s proud to be at the helm of an entirely family-owned and operated business. He stays aware of industry trends and continually educates himself to remain current with new technological advancements. 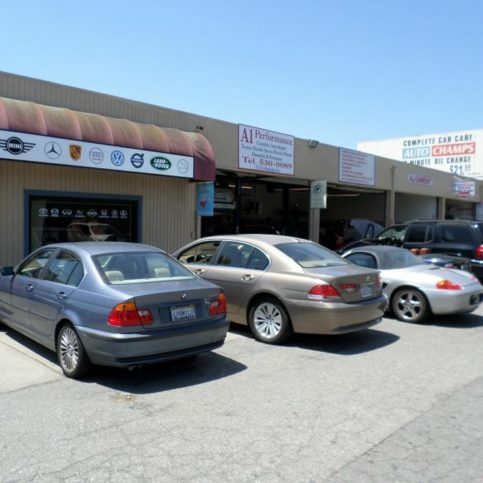 A1 Performance Auto Repair services all vehicle makes and models, and it only uses original equipment replacement parts, which, along with labor, are backed by a 12-month/12,000-mile guarantee. 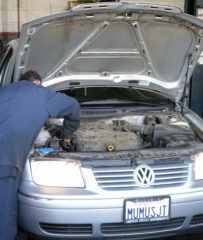 An A1 Performance Auto Repair technician works on a customer’s car. A car tire inflated to 35 pounds per square inch (psi) can lose one psi every month or for every temperature change of 10 degrees Fahrenheit. Find the recommended psi level in your owner’s manual or on a sticker on the driver’s side door jamb. Rotate tires every 6,000 miles to prevent uneven wear and have the alignment checked if the car pulls to either side while driving. To check your car’s oil level, park on a level surface and turn the engine off. Open the hood, remove the dipstick, wipe it clean with a cloth or paper towel and return it to the oil reservoir. Remove it again to see if the oil level is within the acceptable range marked on the dipstick. If you have to add oil, make sure you don’t overfill—too much oil can damage the engine. Look for a reservoir marked ATF (automatic transmission fluid) and follow the same steps as monitoring the oil level—only this time, keep the engine running. You should change transmission fluid every 30,000 miles or so, but follow the manufacturer’s recommendations to be certain. Most engine coolant or antifreeze should be replaced every 30,000 miles (two to three years). Newer formulas, however, can last up to 50,000 miles. To check the coolant level, turn the car off and wait for the engine to cool. Locate the coolant reservoir (usually a translucent plastic tank) and check the level of the coolant against the full and low indicators. Power steering fluid should be changed every three years or 50,000 miles. If your car has a power steering fluid reservoir, check the level visually; otherwise, follow the dipstick method. Low power steering fluid may indicate a leak, so have your mechanic take a look. Change your air filter every 12,000 to 15,000 miles. A clean air filter can improve gas mileage and reduce harmful emissions. Replace the fuel filter every year to help prevent debris from clogging your car’s fuel line. Windshield wiper care is one of the most neglected basic car care tips. Replace the wiper blades every six to 12 months or whenever the rubber becomes worn. Check the wiper fluid reservoir every week or so and keep it full. With your car turned on and parked, have someone walk around to confirm all your lights are working—headlights, brake and tail lights, turn signals, etc. Replacing bulbs in modern vehicles can be a challenge, so consider having a mechanic do the job (especially replacing and aiming headlights). 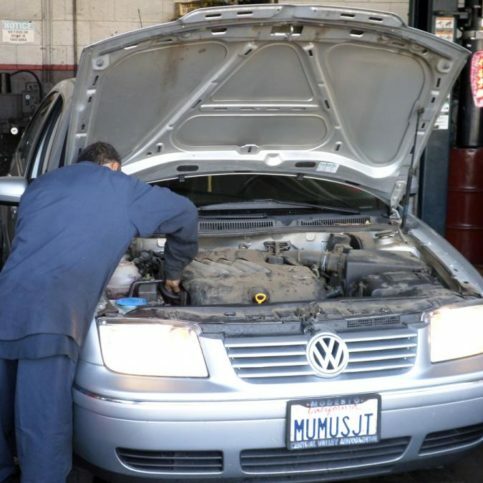 A mechanic will also know the difference between a blown fuse and a burned out bulb. Q: Will my car be done on the same day I bring it in? A: That depends on the job and if we need to order parts, but we can complete most jobs in one day. Q: Do you provide written estimates? A: Yes. We’ll go over every detail of the estimate when we give it to you, so you’ll know exactly what work we’re recommending and how much each item will cost. A: No. We only use original equipment manufacturer (OEM) parts. A: Yes, we have a waiting area with free Wi-Fi. A: Yes, we can take you anywhere in the local Sunnyvale area. Q: Do you have rental cars? A: If the repair takes more than one day, we can arrange for a rental car. A1 Performance Auto Repair works on all makes and models of vehicles. 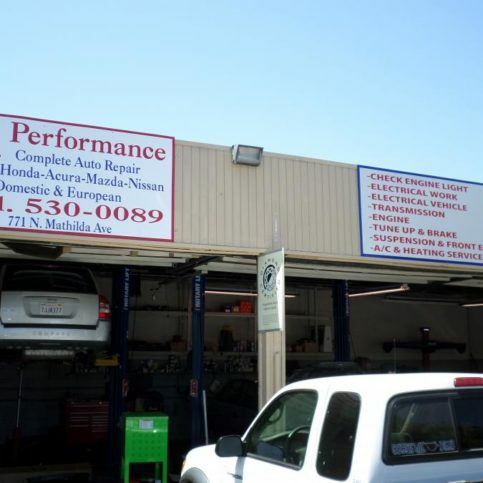 A1 Performance Auto Repair has the equipment to handle all types of repairs. 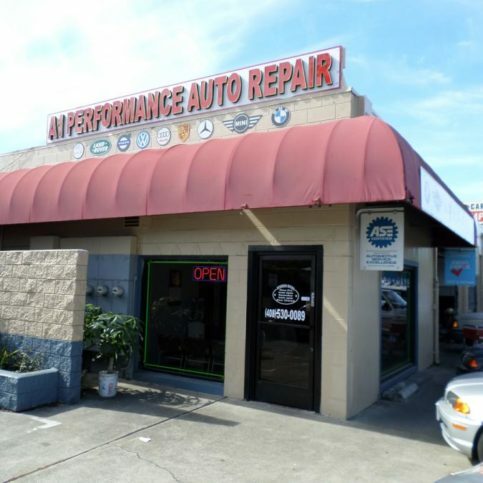 A1 Performance Auto Repair is open six days a week for its customers’ convenience. Cliff Do is a 26-year veteran of the auto repair industry and owner of A1 Performance Auto Repair, a Diamond Certified company since 2004. He can be reached at (408) 827-8949 or by email. SUNNYVALE – Cliff Do’s career as an auto repair professional started small, but it developed gradually as he worked his way up from the basics to the big leagues. “I’ve loved auto repair since I was a kid,” he says. “As a teenager, I worked on motorcycles and scooter bikes, and from there I moved to diesel and gasoline engines. I was never satisfied doing just one thing; rather, I wanted to learn how to work on all types of cars, from domestic to European and Japanese. So, that’s what I did!” To increase his knowledge and achieve his occupational goals, Cliff attended Skyline College in San Bruno and earned his ASE Master Certification. In 2000, he established A1 Performance Auto Repair in Sunnyvale, where customers continue to benefit from his extensive automotive expertise. As a business owner and family man, Cliff’s daily schedule is usually packed, but he says he doesn’t mind too much. “Most of my time is spent running my shop and being with my family, but since I love what I do and I love my family, that’s not such a bad thing.” When Cliff does get some free time, he likes to take advantage of the lush Bay Area surroundings by fishing in the bay and hiking along the San Francisco skyline. A: A 1978 Toyota Celica. I bought it for $300 and it lasted four years. A: I like kung fu movies. A: Being a leader. I’m good at running things, organizing people and counseling them. Q: Q: If you could drive any car, what would you drive? A: I like German cars, so any kind of BMW or Porsche would be nice. A: I don’t want to live in the city, but I like being near it, so if I could live in the country about 5 or 10 miles outside of the city, that would be ideal. Q: What’s your favorite season and why? A: Spring, because the weather is so fresh and clear and the flowers are in bloom. SUNNYVALE — Brakes are one of the most important components of any vehicle, which is why it’s vital to proactively maintain them. A crucial part of brake maintenance is being able to tell when they need to be replaced altogether. To take the guesswork out of brake replacement, some modern cars are equipped with brake pad wear sensors. Mounted on the brake pad and routed through the caliper, this sensor warns drivers if the pad is becoming excessively worn and needs to be replaced, usually by triggering a warning light on the vehicle’s dash. However, not all vehicles are equipped with such warning devices, which is why you should have your brakes inspected on a routine basis. If you notice your vehicle’s stopping time seems to be increasing or you have to press harder on the brake to come to a stop, these are good indicators that it’s time to get your brake pads changed. Ignoring these warning signs can result in potentially dangerous consequences, whereas promptly addressing brake issues will ensure better safety for yourself and others on the road. SUNNYVALE — Host, Sarah Rutan: Depending on the type of car you have, there are a couple of ways to tell when its time for new brakes. 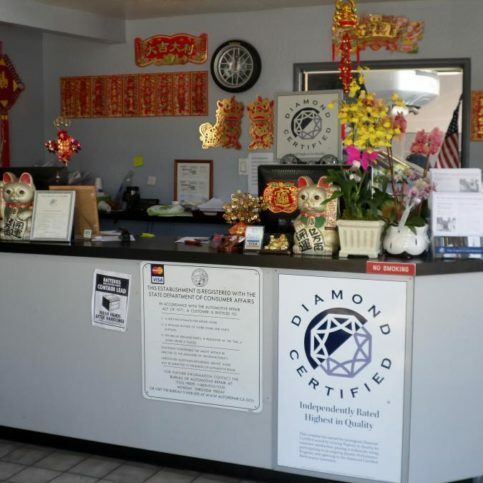 Today we’re in Sunnyvale with Diamond Certified Expert Contributor Cliff Do of A1 Performance Auto Repair to learn more. Diamond Certified Expert Contributor, Cliff Do: Yeah, we talk about the brakes. So, here the brake disc and the brake pad inside. And some car, they have like more than pads and discs; they have the sensor. So, if you want to know the brake pad is worn out, they have the sensor inside. So, when the sensor lit up at the dash, you know that a brake is worn out. But somehow, like a Japanese car, they do have the sensor in the brake pad. They don’t have the light. So, some sensors is attached to the brake pad right here. So, and then when the brake pad is worn out, you know, low like this, the sensor will touch and will make a noise. Here, that the new pad. You can see the difference on the brake pad. So, that one new and one old. So, when the brake pad worn out like this, so you need the new brake pad replaced and make the car safe running on the road. And beside [the] brake pad, [a worn out [unintelligible] disc], it get into very dangerous [points]. So, the brake pad can be malfunction and brake system could be malfunction and get, you know, [out order] on the brake. So, please check the brake out and make sure that they’re safe. A1 Performance Auto Repair : Average 8.8 out of 10 based on 273 unique customer surveys of customer satisfaction. It is convenient to where I live. They are very good and they do a thorough job. He is one of the last honest mechanics out there. It is close to my house and they have loaner cars and he does what he says and he says what he does. He seems to be doing everything right. They're very reliable and honest. He is a very fair man and he doesn't take shortcuts. He will not do anything that is against the law. If he misses something, you can always go back and he will fix it at no charge. I like the way that he treats customers. He is very fair with pricing and he does a good job. Customer service, they do what they say they are going to do and they do it on time. The service, of course, was fast and friendly. They are honest and they have integrity in their service. They are honest and good mechanics. The fact that when I ask for a recommendation, he will tell me that I can wait on a repair. 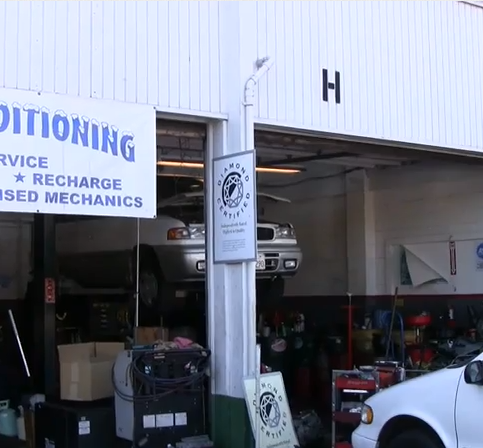 They are just great mechanics and they have good customer service. They do a good, quality job. They are very good. They are really nice, friendly, and they do a great job. What I like best is the quality of the work. The quality of service is very good, but a little on the high side of prices. He is a very honest person who does good quality service. He's a very honest person. He will tell you only the services required. I just think they do good work and they are very thorough. I think he's trustworthy and he backs up his work. Just that I feel confident that when I leave my car, there won't be problems. But if there are problems, he will back up his work. 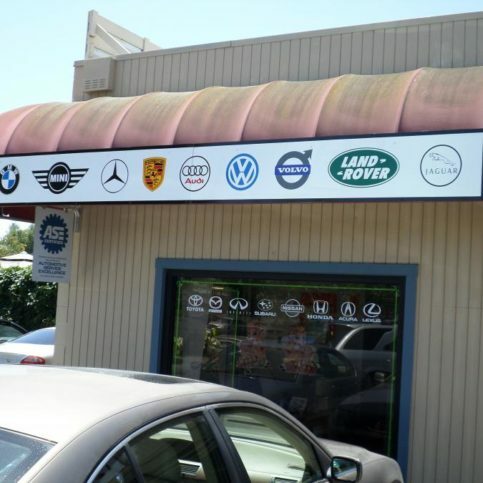 They are just very knowledgeable people and they treat people very well when you come in. They treat you like family. They really do. They are really good people. I like that you go in and they know you by your first name. When you take your car there, they do what they say they are going to do. They haven't done me wrong. I haven't had any trouble with them. To me, it's very good service every time. They are very informative.